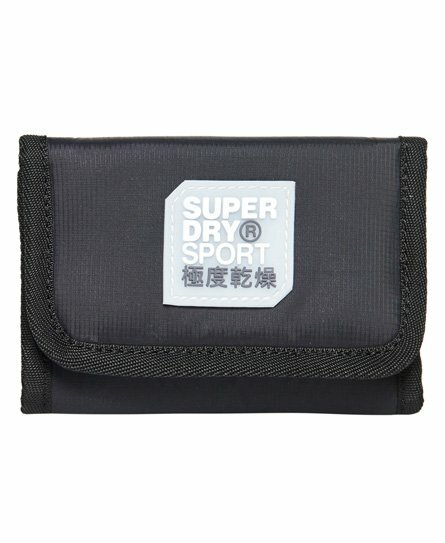 Superdry men's Super wallet. This wallet features a hook and loop main fastening, five card slots, an open note pocket and a small zip fastened coin pocket. Finished with a rubber Superdry logo on the front and an attached keyring.